prettyPhoto 3.0 has been in the work for quite a while now. The latest update (2.5.6) dates back from January. So it has been in beta for quite a while a it is now ready for prime time. I fixed some stuff, changed some setting but most important, I’ve added features that have been lacking for quite a while. See the full (color coded!) changelog below. Added: Keyboard event bindings as a setting. Added: Multiple prettyPhoto with different settings on one page. Fixed: Vimeo video ID parsing. Fixed: Double click causing a where prettyPhoto would open without the faded background. Fixed: Bug when an image would not resize after opening an iframe. Fixed: Image resizing issues when allow_resize is set to false. Images now center properly. Changed: Default theme, now facebook. 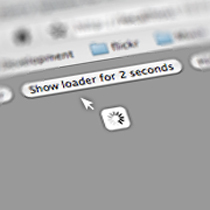 Changed: Default speed, now fast, feel snappier. To tie in with this release, I also created a new FAQs page. Some of you had recurring problem, so I’ll try to cover most of them in that page. Also, either subscribe to my RSS feed or my Twitter feed because I’ll be launching a “tutorial” series soon. These tutorial will be to help you cover more advance ground using prettyPhoto. Great work, first of all. The new version is great, and facebook as standard-theme was good choice. Unfortunately are both, 2.5.6 and 3.0 Beta broken in Internet Explorer 9 Beta 1, delivered yesterday. 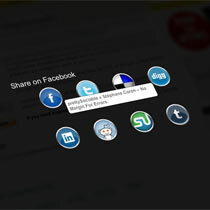 Second issue: The content container is shown on the second half of the screen, it seems that _center_overlay fails. Interestingly it only fails when loading the image, and after you scroll it is fixed. If you switch to “Compatibility View”, the content resizes fine after loading. Last but not least are arrows shown instead of all gallery previews. Well, the content container is shown on the second half of the screen, it seems that _center_overlay fails. Interestingly it only fails when loading the image, and after you scroll it is fixed. If you switch to “Compatibility View”, the content resizes fine after loading. But it looks great… i will put it in!! Wow, this script is awsome, thanks a lot for sharing! I just integrated it in my website with 5 photoslideshows on one page an found a small bug. When you start the slideshow (automatically or not) and don’t stop it before closing the fotoframe, then it does not start the slideshow again properly when you move to the next photoslideshow. This is because “pp_slideshow” is not set to “undefined”. Fix: In “$.prettyPhoto.close” function you have to replace the “clearInterval(pp_slideshow)” with “$.prettyPhoto.stopSlideshow()”. In the uncompressed version 3.0 this is in line 408.
i love the resizing capabilities for viewports/browser views smaller than the width/height of the image! I just thought I should share some minor css related “bugs” that I found when installing just one of the themes (dark_square). Also, I read that the ‘facebook’ theme is default, but I found two references to light_rounded(?) that I had to change too. Those should probably defaulted to the ‘facebook’ theme too, I guess. prettyPhoto 3.0 breaks when using jQuery 1.4.4. Hey, a very nice and easy to use plugin but there is a great lack of multilingual support ! I’m always obliged to tweak the plugin, both JS and CSS add a multilingual support, ain’t it bad ? It would be very easy to add some language files or even a simple array of translations (as there are very few words needed), and some directories with seperated images for those embedding texts. I think it would be also cool to have both production and compressed versions in the same archive and that files bear different names, in order to have them in the same folder without any annoyance. Thanks for the gread work! my version 3.0.1 has a problem with IE7/IE8, in Firefox and Safari is perfect. 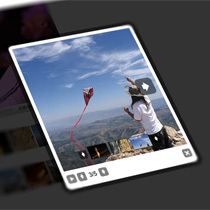 I will play vimeo videos on my site, but IE not will open the prettyPhoto box. Anyone seeing a problem when viewing on an iPhone with Safari? Zooming into the image causes the image to jump to the right of the screen, then it is impossible to advance to the next image. Each time you move over to right to see the zoomed image, it jumps right again..
1) As Tony mentioned, the lightbox jumps right of the screen if zoomed in, and zooming out is useless becuase you cant read it. 2) Quicktime doesn’t work on an iphone, using this lightbox.. Very useful content, I’ll link to you! Thanks. good tip for IOS CSS but how can i overwrite it for normal browsers. because now, the IOS CSS is always running. but proportionally, the margins are not right for a 24in screen with 20px spacing. Is the following a typo? Facebook button is broken for me with the code like that. Changing it to src=”http://www.facebook.com/[…more code here…]” should fix it. Did you find a way to solve the problem with the moving pics on iOS? I don’t have ios.css and can’t do the changes which were recommended here, is there a package where that file can be found? If I disable social tools (social_tools: false html or false to disable */), I don’t get the error no matter how many times I load and hide the popup (in my case, a google map). transform to the greatest worth meant for my property. I ll share it by means of my precious ones that they could share their mindset in build-up believed likewise publish this too. Thank you so much for the wonderful blog site. When i visited the given place http://robloxfreerobuxgenerator.com/ i enjoyed very much in playingt roblox which is the best entertaining multiplayer game with a lot of enjoyment. I like your post, thanks to which I learn and know more. Thank you for sharing this article.